First of all it’s sticky beak season! You know, open gardens. Who doesn’t like to get out there and take a peek at what other people are up to? Stick your nose in where it doesn’t "usually" belong…but it’s been invited! What could be better? 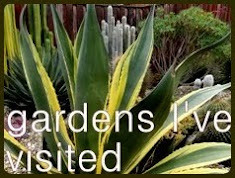 Coming up on Saturday June 11th is the annual Garden Conservancy/Hardy Plant Society of Oregon open garden day. This year the tour features five gardens in Clark County, WA (you know...just across the bridge). 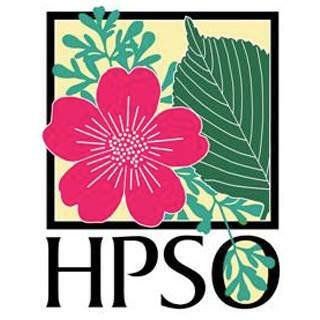 If you're a HPSO member and buy your ticket in advance (til June 3rd) it's $20, non members pay just $25. The day of the tour (at the gardens) it's $30, still a bargain! 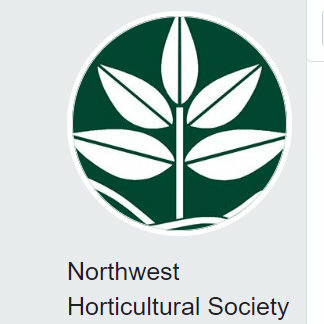 On Saturday June 18th it's the annual ANLD (Association of Northwest Landscape Designers) garden tour. This year the tour will visit seven gardens on Portland's east side. Tickets are $25 and can be purchased online or: at Garden Fever, Portland Nursery, Al's Garden Center (Sherwood location only) and Cornell Farm. Then there are the events...here's a list of the Hardy Plant Societies upcoming events, some are open only to members (join already!) some are open to all. First up are the "after-hours" events at local nurseries. Previous after-hours gatherings have occurred at Cornell Farms, Garden Fever and Cistus. 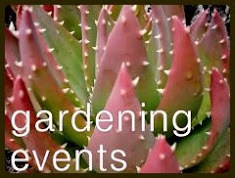 The next event is coming up at Xera Plants and Contained Exuberance on Thursday, June 16th at 6pm (details). The next up after that is at Thicket in NE Portland on July 14th and then Sebright Gardens on August 20th. And deserving of special recognition (and excitement!) is "Fergus Fair"...3 days worth of events in July via the Hardy Plant Society. 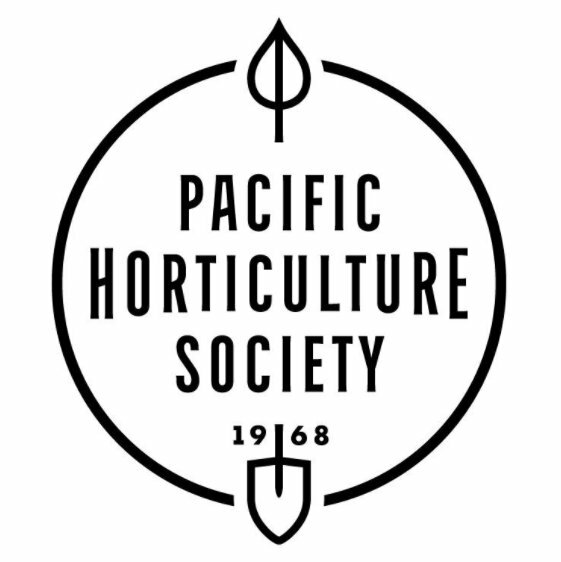 From their website: "HPSO proudly announces the visit to Portland of Fergus Garrett, head gardener and CEO of Great Dixter House and Gardens, one of England's most famed and beloved gardens and the home of the late Christopher Lloyd. Fergus perpetuates the groundbreaking work of Lloyd, his mentor, and at the same time leads Dixter in new and exciting directions only dreamed about by Lloyd while he was still alive. Together with is staff and the Great Dixter Charitable Trust, Fergus maintains Dixter's pivotal role in educating and inspiring passionate gardeners around the world. A frequent speaker and leader of intensive workshops, Fergus is an accomplished teacher. 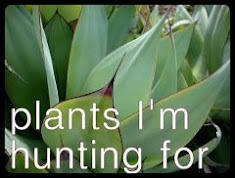 His knowledge of plants and planting techniques, along with his charming personality and willingness to share information, makes him an exciting presenter." Fridays's workshop is already sold out but there is still room available at Saturday's program: "Designing with Plants the Great Dixter Way" and the special event later: "An Afternoon with Fergus Garrett" (details here page down to July 23rd). Sign up already! What are you waiting for! A particularly wet weekend had the lower branches of our Magnolia macrophylla bending down to the point even I (at 5ft 3in) had to duck to walk under them. I had to admit it was time to at least prune the loopy bits off the main branches. The fact two of the three had big luscious flowers on them was a huge bonus and of course you know they went into a vase. Andrew would have liked to remove the three lower branches in their entirety, I wasn't about to go for that. The largest leaf on the bits we cut was just over 2ft long, not including the petiole. The flowers are about 19" across. Their size was somewhat cartoonish, but in a good way (note the sleeping dog on the couch, she was not impressed). This has been a very good year for flowers on the tree, it's simply covered in them. They've been opening for weeks now and there are still several in the swelling bud stage. I'm joining up with Cathy at Rambling in the Garden for Monday's In a Vase meme, click on over to see what other gardeners have created. For my American readers I hope you'll take a moment this Memorial Day to remember those that have lost their lives in service to our country. It's so easy to get caught up in the day as a BBQ holiday that kicks off the beginning of summer. There's nothing wrong with enjoying those things, but I also want to specifically send out my appreciation to all the families that don't have their loved ones with them today, I am sorry and I thank you and your brave family members. But of course we're here to talk about plants. I picked this beauty up at last weekend's Rare Plant Research open house and sale. It's a pineapple, and as many plants at RPR are it was unlabeled. Still I had to have it. A little research has lead me to believe it's Ananus lucidus or Ananas lucidus 'Lava Burst'. 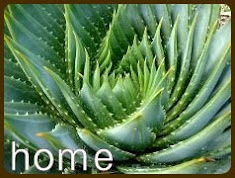 It is a beautiful plant, both the top and bottom of the leaves have incredible detail. Naturally it's not hardy here in Portland so it will be living the life of a container plant, winters indoors, summer on the patio. Hopefully I can give it the light it needs to stay this vibrant color. While admiring my new purchase I got to thinking about the fact there are a few other reds in my garden that I've been appreciating...and thus my May favorites post was born. It's no secret that I have a passion for dark purple/burgundy/black foliage but now it appears red is also making it's way into my heart. On the left is a new-to-me NOID Bromeliad, on the right is Woodwardia unigemmata. I am quite obsessed with this fern that puts out new growth in shades of red. Isn't it fabulous!? It can get quite large too, with plants eventually reaching 2-ft tall and 5-6-ft wide. Ya, I may not have properly taken that size thing into account when I planted it. Oh and get this, small baby ferns are produced at the leaf tips! 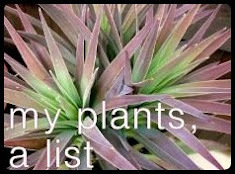 The Bromeliad was picked up at a private plant sale a few weeks back. Word went out that a local gardener was moving and needed to sell plants, garden art, and tools. I looked back through my photos to see if there was anything I had to have and remembered how taken I was with this plant...and it was there waiting for me, now it's mine. Score! This one is hardy to USDA Zone 5 and prefers part shade. It's also a slug magnet, something I've overcome so far (knocks on wood) by planting it in a container set on gravel. The new growth on Epimedium wushanense leans to red (zones 5-9, shade). Mammillaria spinosissima 'rubrispina' (aka "Red Headed Irishman") picked up from Alison at a recent plant swap. And the new growth on my Rhododendron 'Ebony Pearl'...decidedly red, which will fade to a dark purple with time (zones 6-9, part shade, even moisture). Another NOID Bromeliad, with a red blush. 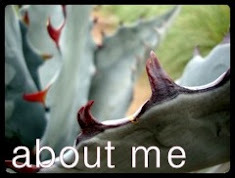 And my spiky Aloe marlothii. What plants are looking lovely in your May garden? Please tell us about them!